Peacock is an Indian National Bird. Peacock is mostly found in the Asian Countries. It is one of the most beautiful bird in the globe. 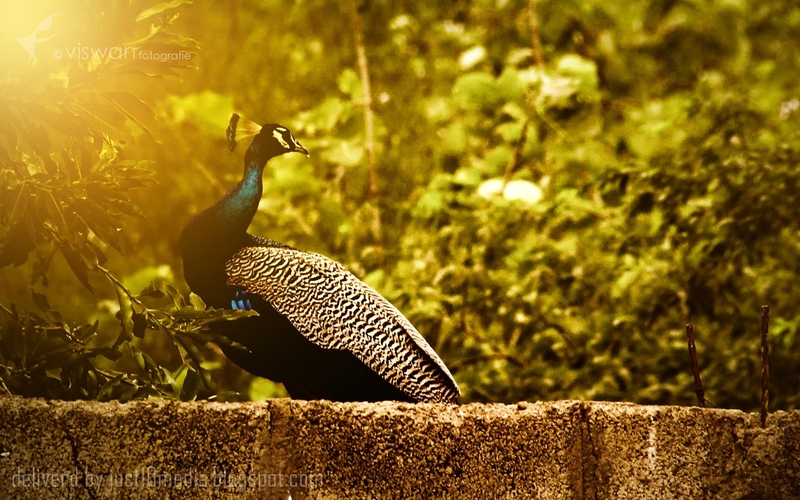 Both male and female bird are called as Peacock only. It will intake plants, seeds, insects, flowers etc. Male Peacock have the colourful tail and female doesn't. At night Peacock will stay in High places rather than low. The bird which sense the rain fall and it will dance for the rain's breeze.Peacock will only fly for a Short Distance.